We hit the first two goals. But we have largely failed to achieve the third. Our first goal was to sell the new organic products, but first we had to make them. Prior to the conversion, we could buy whatever cotton fabrics we wanted from many different mills, but our choices were drastically reduced with our decision to use only organic cotton. As a result, when we introduced the fully converted line in 1996, the number of styles shrank in the first season by about 30% because we couldn’t find fabric that met our quality standards. So we had to develop new fabrics. This required deep work in our supply chain to not only find the textile mills capable of producing the fabrics to meet our standards, but mills that were also willing to work with organic cotton. Though a few of our mills were up for the challenge, we had some very good long-time partners walk away and not make the change with us. Typically a clothing company will work with the factory making the finished garments, and sometimes with the textile mills making the fabric. We had to strengthen our relationships with the full supply chain and go much deeper than ever before with each partner. We needed to start with the farmers and work with the full supply chain –including the spinners, knitters, weavers and dyers – to achieve our goal. We essentially developed our own private cotton supply chain that gave us the ability to create new and different yarns and fabrics that we previous did not have access to in our supply chain. This enabled us to bounce back quickly from our 30% decrease of cotton styles, and with the new fabric innovations, the line sold well. The second goal when we switched to organic cotton was to influence change in society toward more sustainable agriculture. When we first made the decision to convert, the word “organic” didn’t have much recognition with the public. We even considered calling it “non-industrial cotton” but ultimately decided on organic cotton. Due to the lack of recognition, there was a lot of focus on education around the issue in our catalogs and in our retail stores. (We didn’t have the internet in 1996.) But with the growth of the organic market over the last 20 years, though much more in food than textiles, organic has become a household word in many parts of the world. While we were able to achieve two of our goals, the last goal – influencing other clothing companies to also convert to organic cotton – has been mostly a failure. Early on, there were a couple of companies that were inspired by our lead, but few have remained consistent in using organic cotton and the adoption we were hoping for has yet to come. When we first launched our organic cotton line in 1996, organic cotton was less than 1% of all cotton grown and it still is today. This compares with genetically modified cotton that was also less than 1% and is now close to 90% in the U.S. and higher in other countries. The herbicide glyphosate and the insecticides malathion and diazinon were classified as probably carcinogenic to humans. Glyphosate currently has the highest global production volume of all herbicides. The largest use worldwide is in agriculture. The agricultural use of glyphosate has increased sharply since the development of crops that have been genetically modified to make them resistant to glyphosate. Glyphosate is also used in forestry, urban, and home applications. Glyphosate has been detected in the air during spraying, in water, and in food. The general population is exposed primarily through residence near sprayed areas, home use, and diet, and the level that has been observed is generally low. 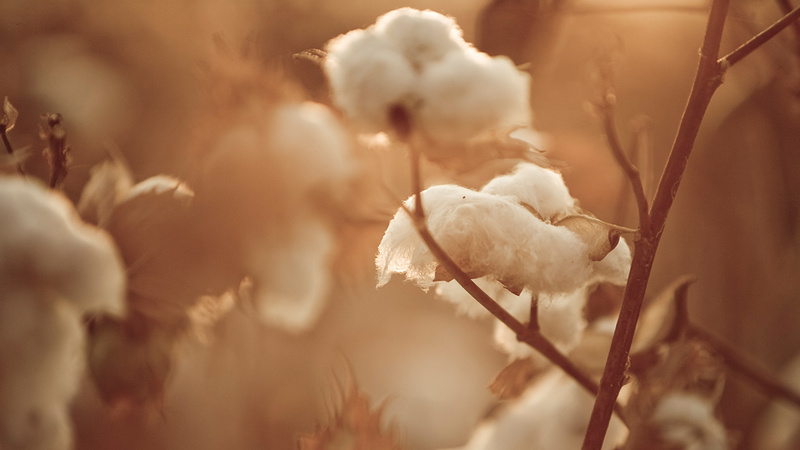 We want more companies to understand the risks of conventionally grown cotton and begin to introduce at least a portion of their line made with organic cotton. It is imperative that our industry help raise the percentage of organic cotton well beyond just 1% of global cotton production. To aid in the expansion of organic cotton, there is continued research on organic seed but with much smaller funding than the GMO industry invests. When Vandana Shiva, the Indian activist, was visiting our offices recently, we asked her many questions about the work she is doing and the state of agriculture as she see it around the world. Some reports are dire but others are hopeful. Vandana has been rallying for seed biodiversity for many years and has developed a network of seed keepers and organic producers spread across 18 states in India called Navdanya. This network has helped set up 122 community seed banks across the country, training farmers in seed sovereignty, food sovereignty and sustainable agriculture. But we can’t remain complacent about organic agriculture. There is energy gathering in the field of regenerative agriculture which holds promise as a place to sequester carbon with row crops as well as pasture and grazing land. Perhaps there is a glimmer of hope.